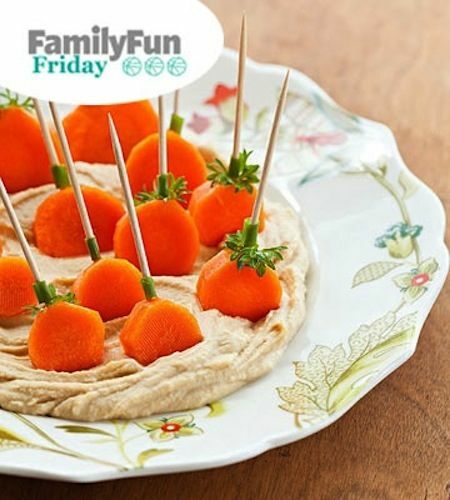 Slice carrots into disks, slide them on toothpicks with a piece of parsley (for the “pumpkin stem”), and serve them with your favorite hummus dip. You could also lay these on a plate with a bowl of ranch for dip or add them to the kids’ lunchbox as a healthy side. Out of all of the creative watermelon displays I’ve seen, this one is my favorite for Halloween. It’s actually pretty manageable, too. The only carving required is the monster mouth. 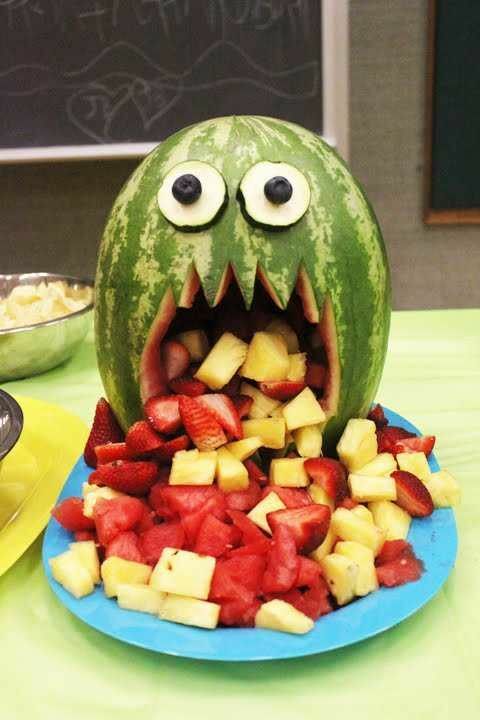 Use the watermelon and other fruit to fill and let spill out of its mouth for display. 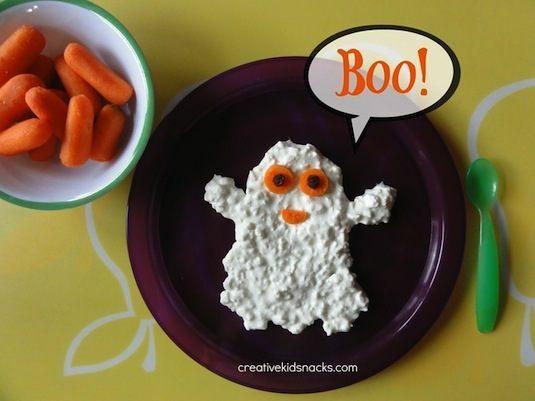 I cute Halloween snack, especially for the real little ones! Use cottage cheese as your paint and a plate for the canvas. Perfect for a ghost!